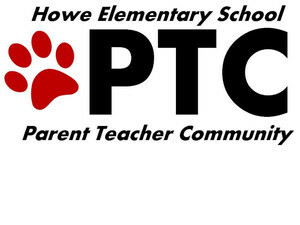 Our Vision: Working together as a community of parents, guardians, and educators, the Howe Elementary Parent Teacher Community (PTC) supports the students, families, and educators in their learning experiences. We provide opportunities for families to become more involved in the school and its activities. We build constructive relationships and improve communication between families, educators, and the community. We address issues and concerns in order to better the educational experience for each student, their families, and their educators. We promote the educational experience through family involvement, educator support, and fundraising. Meeting Nights: Every first Thursday of the month from 6:00 - 7:30 P.M. in the school library. ALL ARE WELCOME TO ATTEND! Thank you to all the parents who took on an officer role! You have already made a difference!